Last football Sunday, I made my now routine Football Wings. As we were licking the remnants of sauce off of our fingers, Ryan suggested we try a different flavor next time, maybe a sweet and sour. 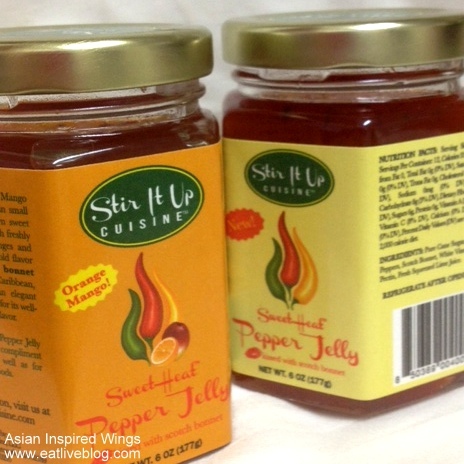 As if on que, the next morning I received 2 sample jars of Stir It Up Cuisine, Sweet Heat Pepper Jelly made just a few miles away in Weymouth, MA. I have tried pepper jelly quite a few times. There always seems to be some variation of it at food sampling events to try. Short of pouring over cream cheese and serving it as a dip (like the demos always do), I have never really thought of a way to use this sweet and spicy condiment in my cooking. But with Ryan’s request, and the great timing of this package, the recipe was pretty much written for me! The wings came out exactly as I had pictured them in my mind. 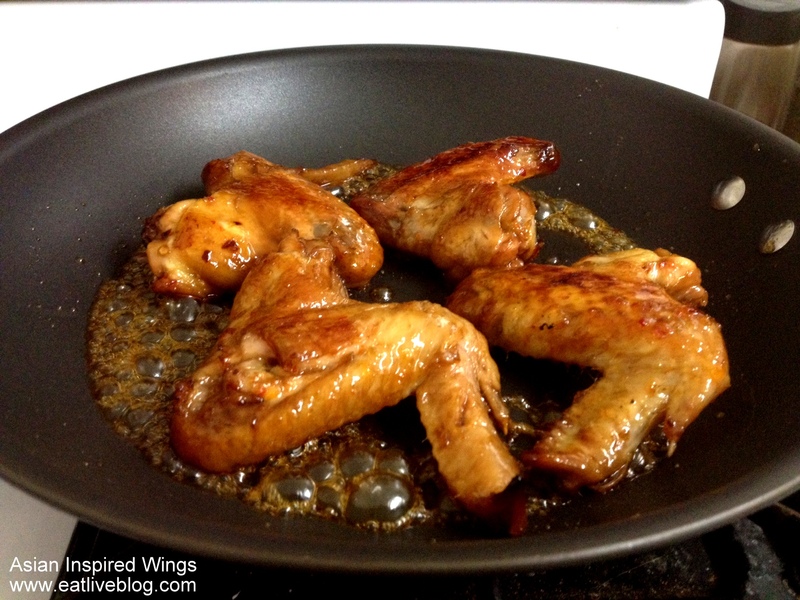 The pepper jelly carmelized on the wings in the final grilling stage, to create a sweet, spicy, messy, delicious glaze. I was a little worried that the sauce would overpower the wings, but that did not happen at all. It was perfectly balanced, and something I will definitely cook again. 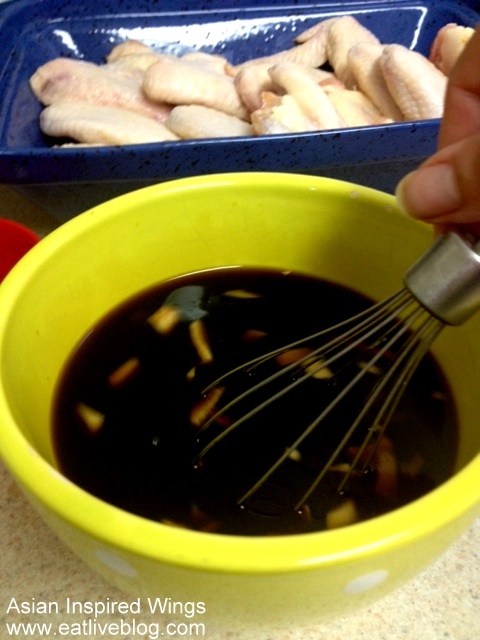 Now…what should I cook next with pepper jelly….. Plate, serve with your favorite dipping sauce, and enjoy! 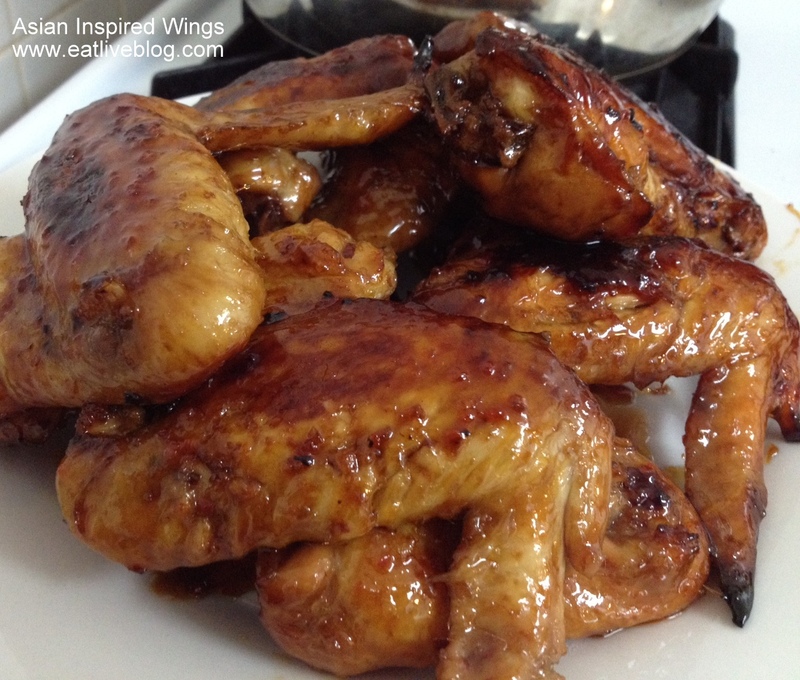 This entry was posted in Recipes, Uncategorized and tagged chicken wings, football, potluck, recipe, tailgate by reneeh. Bookmark the permalink. I am totally addicted to that jelly!! I love the Stir it Up with cheese and crackers! That sounds like an awesome way to use the pepper jelly. Might have to give it a try! This sounds amazing – sweet and spicy is such a good combination. You’ve inspired me, especially because I’ve never used pepper jelly!